As she appeared during the Korean Conflict with a pair of 3" batteries just forward of the aft turret. 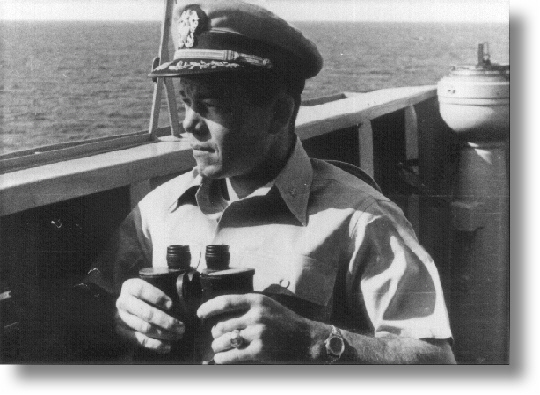 Captain Robert A. Schelling. Commander of Swenson during Korean Conflict. 15 September 1950. 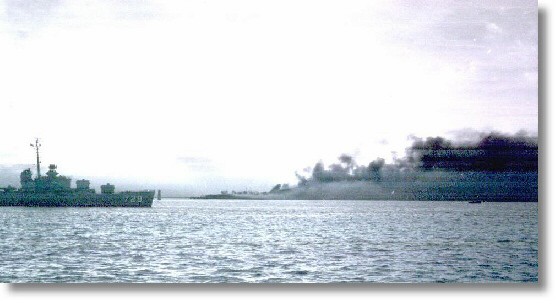 Wolmi-Do island in the left background and the causeway connecting the island to Inchon. 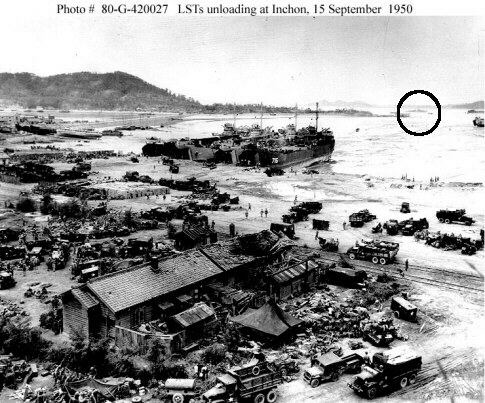 Ship in the far distance, just beyond the right end of Wolmi-Do, is USS Lyman K. Swenson (DD-729)(circled). Official U.S. Navy Photograph, from the "All Hands" collection at the Naval Historical Center. 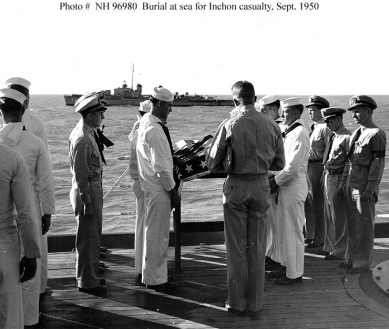 A Chaplain reads the Last Rites service as Lieutenant (Junior Grade) David H. Swenson is buried at sea from USS Toledo (CA-133), off Inchon, Korea.The Lyman K. Swenson is in the background, with crew at quarters on deck. He was killed by North Korean artillery while the Swenson was bombarding enemy positions on Wolmi-do island, Inchon, on 13 September 1950. Contrary to published reports for many years. he was NOT the nephew of Capt. Lyman K. Swenson. This was finally acknowleged by the Department of the Navy in 2001.